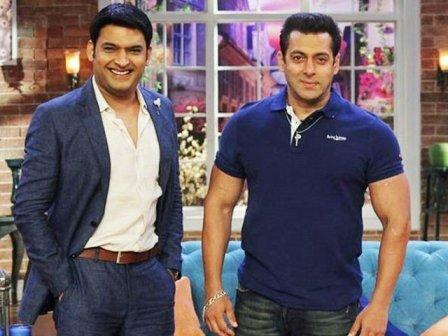 Comedian-actor Kapil Sharma has become the most riskiest celebrity searched online in 2017, whereas Salman Khan has bagged the second spot – one who could expose consumers to malicious websites and malware – a survey from cyber security firm McAfee revealed. “With today’s digital explosion, the gap between celebrities and their fans has diminished. There’s a looming interest among Indians to know more about their favourite icons for which there’s a deluge of fresh and readily consumable content made available,” said Head of R&D Operations, McAfee, in a statement. The survey revealed that Sharma, who has topped the ‘McAfee Most Sensational Celebrities’ list 2017, has replaced Bollywood diva Sonakshi Sinha. Searching for Sharma would results in a 9.58% chance of landing on a malicious website. Salman would attract 9.03% risk of landing on a malicious website, while Aamir Khan would increase the risk of 8.89%. Actor Priyanka Chopra, who was at number seven in 2016, secured fourth place in the list and would increase the risk by 8.75%. “It’s important for consumers to be vigilant and ensure they are searching safely. Thinking before clicking is as imperative as adopting the right security solutions to stay safe online,” said and official. “If you are you looking for the footage of Sharma’s comedy shows, it’s better to wait for the official airing and re-runs on television and the official websites than to visit a third-party website that could contain malware,” he suggested.